Süper Tekstil is founded in 1985 as a small business at the hottest times of business in Laleli. With the belief that a balanced and quality industrialism s one of the main factors that drive development in the globalizing modern system, Süper Tekstil has commissioned a world-class operating system equipped with machinery from the leading brands in the industry in the Factory Building designed by Turkish, German, Austrian and Swiss engineers on an indoors area of 15,000 m2 in Corlu in 1997. Today, products manufactured for customer satisfaction by employing the latest technologies as a result of R&D efforts in the completely integrated factory with an area of 40,000 m2 with a staff of 500 people are stored securely and safely in a warehouse with an area of 20,000 m2 and the annual sales made to 35 countries totals of US$ 60,000,000. Acting by the philosophy of “customer satisfaction is the most important investment”, the Management equipped Süper Tekstil with the necessary technologies and a strong marketing team and turned company into a worldwide exporter of GARDEN, DR.DECO collections, Disney (Witch, Ariel, Hanna Montana, Cars, Mickey Mouse, Princess, Winnie The Pooh, Toy Story) and Hello Kitty licensed products. Today, Süper Tekstil San. Tic. A.Ş. 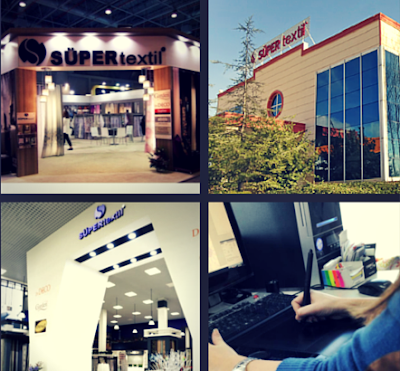 is one of the top 3 companies in Turkish textile industry and has a strong position in terms of global brand awareness.